Spring Valley, NV, is an excellent place to live, at least in part because of its vibrant Chinatown which features cuisines from many parts of Asia. Its close proximity to the Las Vegas strip – only 2 miles away – makes it an ideal place to live and visit. Whether you have lived in Spring Valley, NV for a long or short time, we hope you take great pride in calling it home. 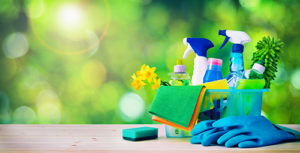 Though here in Nevada we don’t really have traditional spring weather complete with budding flowers and singing birds, many of us feel the impetus to deep clean our homes during March and April in celebration of the dawn of spring in many parts of the US. Or perhaps you’ve recently binged the Marie Kondo show on Netflix and you’re ready to simplify your life and only hold onto things that “spark joy.” Whatever your motivation may be, Kimberly's Kleaning Service is here to meet all your spring cleaning and deep cleaning needs. 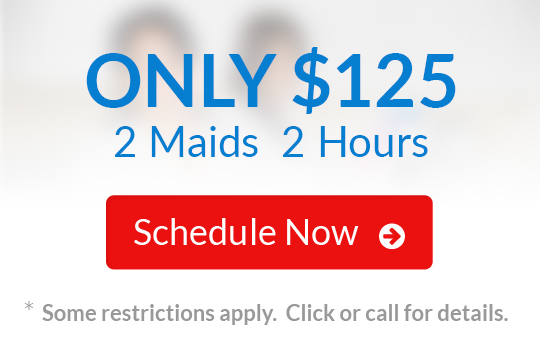 We have assembled superb cleaning crews who will meticulously clean, polish, and sanitize your home from top to bottom. Skip the drudgery and just call Kimberly's Kleaning Service at 702-263-0468 for excellent spring cleaning services in Spring Valley, NV, and many surrounding areas. You’ll be so glad you did! Each member of our cleaning crews has been personally selected and trained by the owner and co-founder of Kimberly's Kleaning Service, Kimberly. Each cleaner speaks English and considers your satisfaction their #1 priority. Yearly spring cleaning can feel daunting and unending, but it doesn’t have to be a burden anymore – just enlist the cleaning experts at Kimberly's Kleaning Service to tackle it for you. Complete dusting of all art, knickknacks, etc. There are plenty of cleaning companies that serve Spring Valley, NV, but none that compares to Kimberly's Kleaning Service. We have over 20 years of experience spring cleaning homes of all shapes and sizes, so you’ll be able to rest assured that your home will be in excellent hands with us. For your convenience, we bring our own eco-friendly cleaning products and potent vacuums, and we’d be happy to schedule your spring cleaning service at a date and time that works best for your busy schedule. Give us a call right now at 702-263-0468 and if it’s during business hours, Kimberly herself will answer and give you a comprehensive estimate.